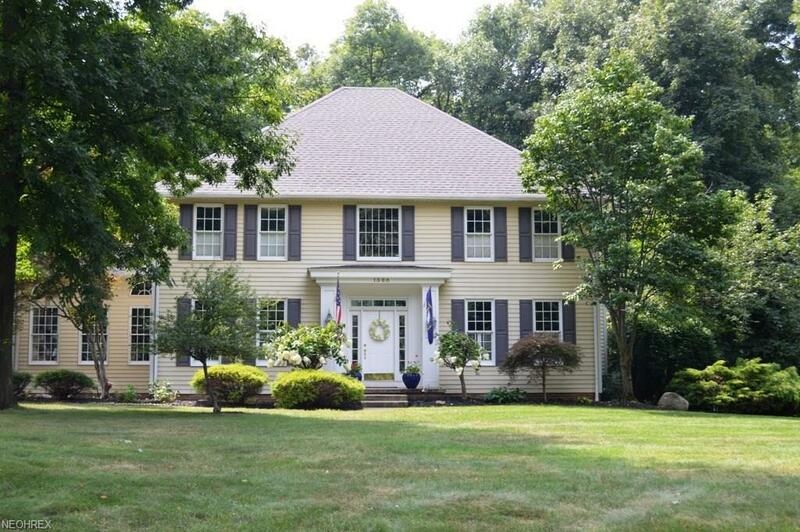 Stunning custom home located on 2 private wooded acres, offers country feeling but close to everything. Gracious home boasts HWD flrs, crown moldings, detailing throughout, 12 ft ceilings, bright & airy windows, plantation shutters, 4 frplcs & so much more. 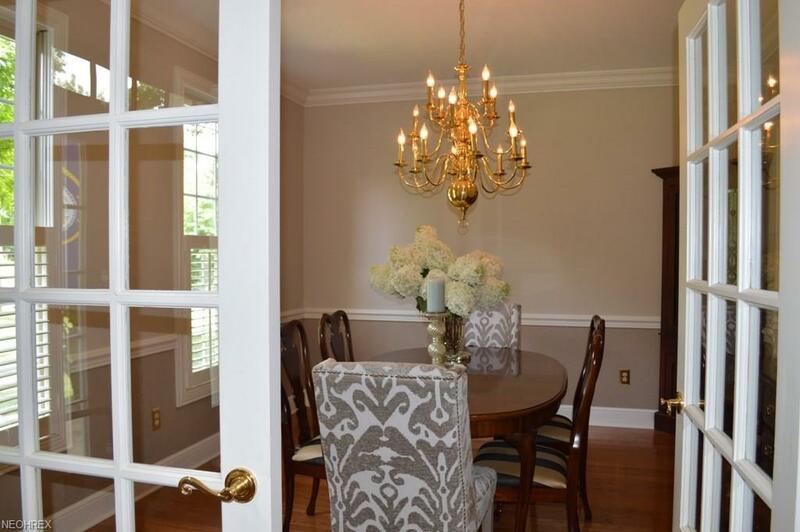 French doors open from 2 st foyer to charming dining room. 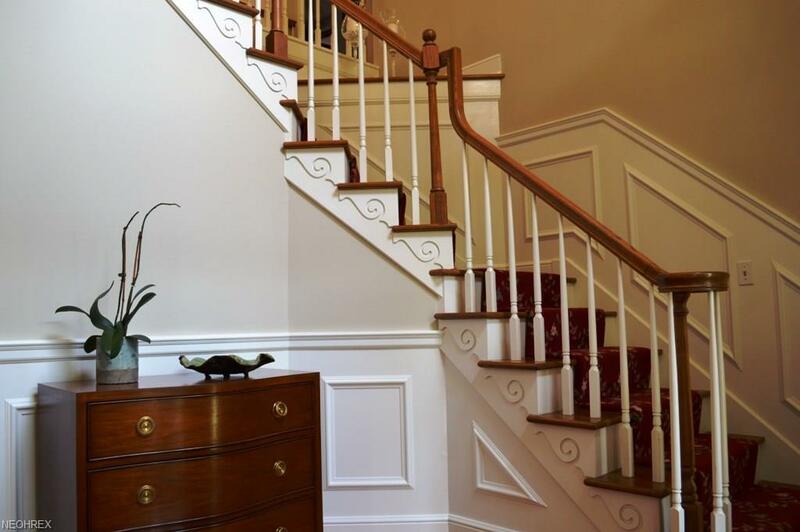 Dramatic great rm features soaring ceiling, detail molding & fireplace. Handsome board rm library includes wall of book shelving & overlooks your serene back yard. Dream kitchen boasts 2 large islands, grt cabinet space, double ovens, gas top range & space for the entire family to help cook. 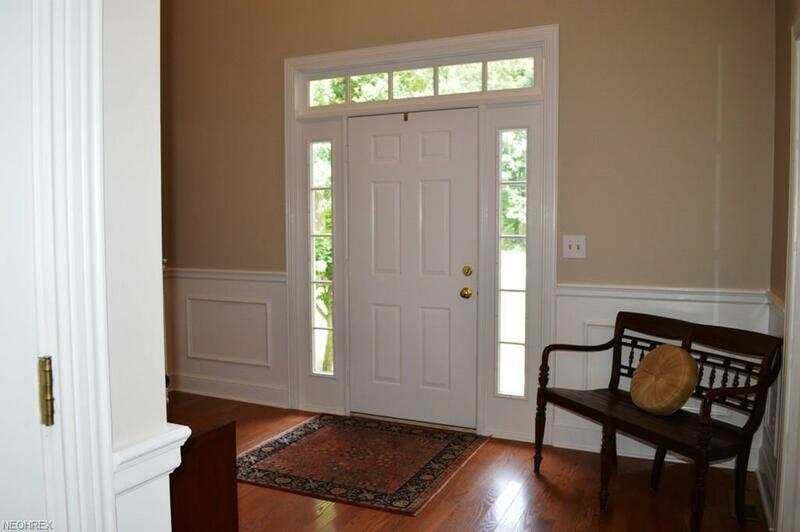 12 ceiling, handsome frplc & bright windows w/ round tops creates a welcoming family rm. Relax on your wonderful sunrm, gleaming wd floors, large windows & French doors open to your maintenance free deck & patio. Much in demand, 1st floor owners suite includes corner frplc & glamour bath recently remodeled w/double, vanities, white cabinets, large ceramic shower plus separate tub.Completing the 1st floor is your charming guest bath & spacious laundry/mud rm w/separate entrance from side porch.The 2nd floor offers 4 spacious bedrms w/2 full buddy baths. Finished lower level, open & bright w/guest bath, ready for all your family needs. 3 car att garage offers 1 taller door for over sized vehicles. Some of the updates; HDWD flrs; 2018-roof, garage drs, interior painted, LL carpeting; 2017- A/C & furnace, gutters, deck & sunroom updates; 2016- New custom designed master bath.